Here is one fact about my husband that none of the thousands of remarkable tributes from all corners of the world have mentioned: Richard was a very good husband. A few weeks later, my new husband returned to Washington with the coffins of his three comrades. Following their funeral in Arlington, Richard headed back to the Balkans and did not quit until he brought the warring parties to Wright Patterson Air Base in Dayton. His breathtaking, Balanchine-like performance—corralling, cajoling, outmaneuvering and finally breaking the murderous will of some of Europe’s toughest autocrats—was something to behold. Had I not already been in love, I would have fallen then. When necessary, he deployed me. The first night of the peace conference he seated me between the two bitter foes, Milosevic and Izbegovic. Make them talk to each other, he instructed me. Thrilled to play my small part for Richard and for history, I succeeded and by evening’s end they were calling each other Slobodan and Aliyah. At the U.N., too, we were full partners, traveling to 11 African countries—a trip which opened both our eyes to the full ravages of AIDS. That trip led Richard to persuade the Security Council to put a health issue—HIV/AIDS—on its agenda for the first time. Richard always made me feel that whatever I was working on—a book, a mission for the Committee to Protect Journalists or Human Rights Watch—was as important as whatever he was working on. I think he did that for a lot of people. In recent days I have had thousands of letters from people whose lives he touched, whose problems he tried to solve. From Cyprus, to Tibet—and the better known places in between—I have heard from people he helped in some way through small, private acts of kindness that did not make headlines. I tried to domesticate him. Good luck with that, the kids would say. Instead, he taught me the most valuable lessons: those who hold grudges are diminished by them. Richard taught me that elegance is not about dressing well—Lord knows it was a rare day when Richard’s socks matched—elegance was about the spirit and the mind. Oh, he was an elegant man: always first to call a friend who’d stumbled or been brought low by rumors. He taught me about patriotism. As a refugee from Communist Hungary, I already loved America. But Richard’s patriotism was of a different order. There was no job he would turn down if the President of the United States called. The toughest job of course was the final one. I have never admired him more than observing him during the final two years. Facing breathtaking layers of adversity—from inside the administration as well as from more obvious foes, he just kept on moving. In the depth of the night—when we are at our most open and vulnerable—I could see just how deep and genuine his passion to do good and to make use of his God given talent ran. So he ignored his friends, who warned that this final mission was Mission Impossible. I never urged him to come home because I knew him too well. From Richard I learned that a life of meaning is worth more than a life of ease—and perhaps even more than a long life. We had many plans for our next chapter. None of those plans involved anything other than a life of full engagement. Here is a consoling thought to all of us: Richard was not looking to this last mission for his place in history. As a historian himself, he knew he had earned that place already. He was just going to give this last task—as he had the others—everything he had. In recent days I have spoken to some of the hundreds of young people he mentored and inspired. In their eyes, I see my husband and he is very much alive. 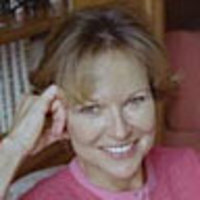 Kati Marton is the author of seven books, most recently Enemies of the People: My Family’s Journey to America.